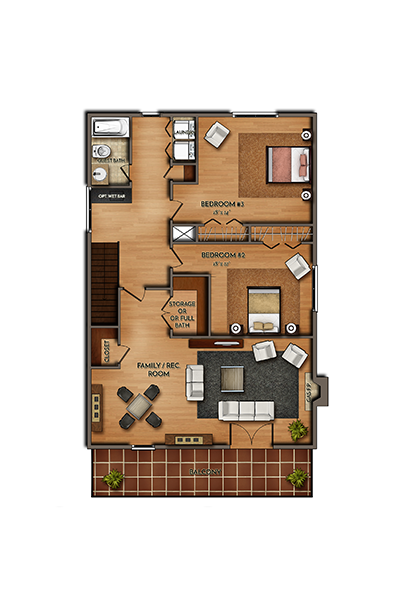 3 bedrooms | 3.5 baths | First-floor owner’s suite-2640 SQ.FT. 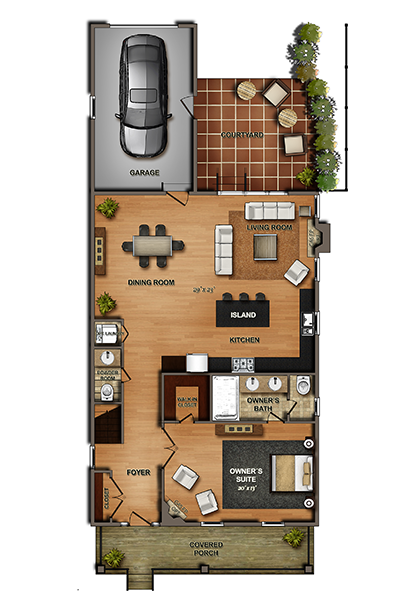 The Claiborne features a stunning first-floor owner’s suite, designed for ultimate comfort. Other highlights of this home, a three-bedroom variation of the Wittman model, include beautiful hardwood floors and a large open-concept living area for easy entertaining. The covered sitting porch is a spot for rocking chairs and cool iced tea. Have dinner al fresco in the available courtyard. Add an additional laundry on the first floor.